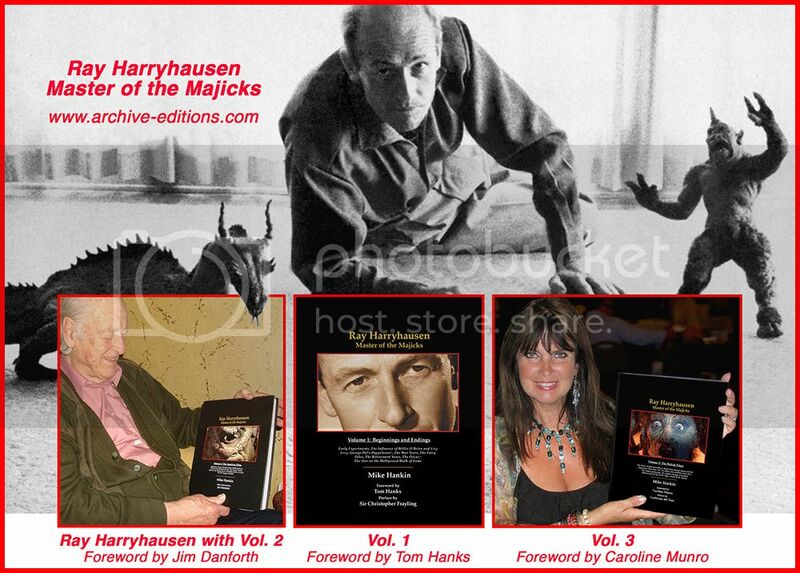 I’m in the home stretch on the limited edition Ray Harryhausen - Master of the Majicks reprint box set and expect to hand off to the printer very soon. I wanted to post a courtesy notice to anyone still interested in placing an order. Pre-sales have been strong, and I expect that the projected limited edition print run of 500 copies will be Sold Out soon. I posted this notice a short while ago (in case some of you have seen it elsewhere), but I’ve tried to keep the ordering open as long as possible. But I’m going to have to close it down shortly. This project turned out to be an enormous undertaking, much moreso than I first thought, and even as I write this new material is coming in at “the 11th hour” (have a look at the new preview page for more details). I’m striving to include everything, as much as possible (and still make it all look good). In just the past few months or so The Ray and Diana Harryhausen Foundation has extended new cooperation, and some terrific -and exclusive- material has come from them. The process is not open-ended, though, and I will be wrapping up this endeavor very soon. So… just a quick “heads up” here. No updates on archive-editions.com since last year. I assume it’s still coming...someday. Anyone heard anything since 2016? It's coming. Taking forever, I know, but it's a one-man operation. Working with the printers now to lock down final quotes. Complicated process, many moving parts. Original edition was printed in China; the cost & production paradigm has shifted dramatically and I'm evaluating better options (hopefully) for printing in the U.S. Hang in there-- the books themselves are finished (i.e., layouts and other production work), and I'm pleased with how the new edition has turned out.